Eurogamer was the first show I have been to on this scale since the ZX Microfair’s of the 80’s. This however made those ZX fairs look more like a village boot fair. There are billions of dollars in the gaming industry nowadays, as opposed to the pocket money bedroom gamers of the 80’s, but those are the folks I love. Those guys are the roots and foundations of the industry. without them, without those pioneering coders, we would still be playing in dark smelly smoke filled arcades at old bingo halls on a Saturday morning. So, it is almost solely for this reason that I wanted to go to Eurogamer. I wanted to see how things have changed, but also because of the grand retro section on display in this big bad world of modern warfare, can the sprites handle it? Yes! Yes they can! Of course I also wanted to check out the current gen stuff, those games we’ve all been getting excited about for the past year and have grown from dreams to screenies to demo’s to reality. So the queue for BF3 was horrendous, MW3 had closet snipers creaming in their pants, Skyrim looked absolutely beautiful. FFViii-2 looked… like FFViii as did the next incarnation of Assassins Creed look like that which had only just left our shelves. So, as lovely as it was to see these things on the big screen, behind a hoard of queuing salivating teens, I couldn’t wait to get along and really enjoy the two sub sections of the show: The Retro zone and the Indie Zone. The Indie Zone was amazing. These minnows amongst sharks still continuing the religious activities of bedroom coders, fighting for scraps of our attention and most of them deserve so much more than they get. Fortunately with the advent of PSN store or XBox Live Arcade these guys have a little chance to see daylight, but it is also a great shop floor of talent for the bigger boys to sit up and take notice. I met the dev crew behind Really Big Sky and was very happy to have a real life conversation with the humans behind a game that I have seen grow from strength to strength over the past year. It is an awesome old skool schmup of side-scrolling retroesque eye melting beautifulness. These guys deserve all the praise, and press, they can get – and I’ll happily oblige. But, back to the rest of the Expo. Y’see for me I didn’t need to queue for hours to play demo’s of games that I already knew were going to be awesome, aka BF3 etc. I am an absolute retronut, so to see some of the ancient prized machines running in the open with other equally weird people dribbling over them, well, it had me smiling all day. First to catch my eye were a crowd of thirty-something’s gathered around an Amiga A600 playing Sensible Soccer, and enjoying it more than an invisible bunch of zombies playing an online FPS. As expected the usual suspects were on show in the Retro Zone, NES, SMS, SNES, MD, N64 all had front row slots and seemed to be gathering the most attention. Mario Kart was obviously the most popular, with a constant stream of boys and girls dodging shells. Possibly one of the most beautiful exhibits was a cocktail cabinet of Donkey Kong, sending me straight back to 1982. I cut my teeth on these cocktail cabinet games, first of which to steal my 10p’s was an original Asteroid machine. I’m not sure if the Donkey Kong was original, probably not, most likely a small PC running an emulator as there seemed to be companies touting their wares that would give you this very attraction in your own front room. 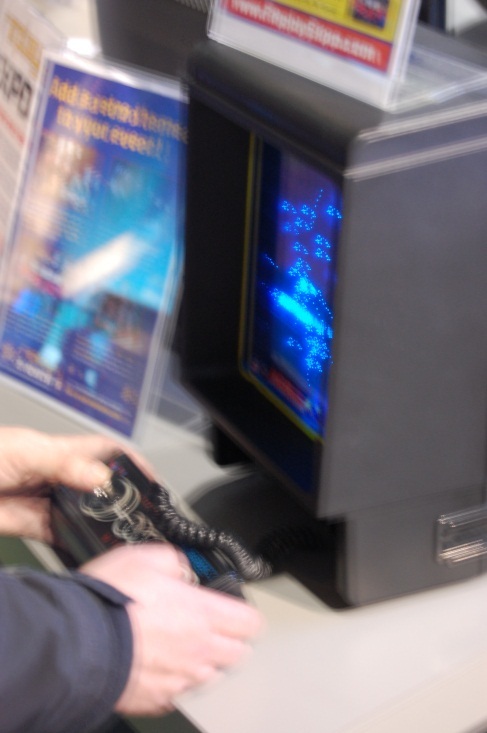 The Vectrex was really nice to see. Can you believe this machine had a 1.5mhz CPU running with the tiniest amount of RAM and ROM you could imagine. Yet Minestorm was fast, furious and an absolute joy to play. It was the first time I had ever played this game and I’ve been so tempted recently to get my hands on one of these from fleabay. Now, for sure, I must for any retro collection! Most of the classics were on display. I loved watching Starfox on the SNES, with what looked like rather flat and bland graphics compared to todays standards, of course it was cutting edge at the time and very much showed how so much quality gaming could be crammed into such a small cartridge. Other machines on display included and Amiga A1200, Sega Saturn, Atari 2600 and Jaguar, BBC Micro, Commodore 64. The handheld machines had a gallery of their own. Old and young folks alike had the pleasure of all the Gameboy incarnations, the Sega Game Gear and many more. A vast amount of original arcade machines were also on display, not only to be gazed upon but you could sit down and play away to your hearts content with the joystick pummelling pleasures of your favourite old beat-em-up. 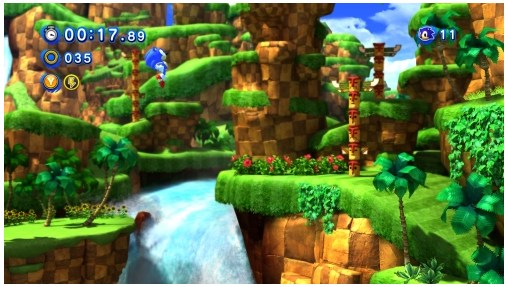 Just to finish off with some retro news outside of the retro reply section of Eurogamer: you could find on display a playable version of the forthcoming Sonic Generations. This is a super gorgeous reboot of the original Sonic franchise, highlighting it’s 20th anniversary. The blurb on the box states: “Sonic’s universe is thrown into chaos when a mysterious new power comes into force, creating ‘time holes’ which take Sonic and his friends back in time”. So, yes, this is yet another excuse to bring our old little blue friend to the screen, in both old skool and new school guises. I have to say, and I realise I am a minority, but I didn’t really like the original Sonic games on the Megadrive, too fast and frantic for my liking. However, this reboot looks beautiful and really brings the old courses to life. Even if you only have the slightest tinge of feeling for hedgehogs, or retro, then it has to be on your shelf. Enough said, I’m off to play with Miner Willy… until next time… Keeeeeep retro! 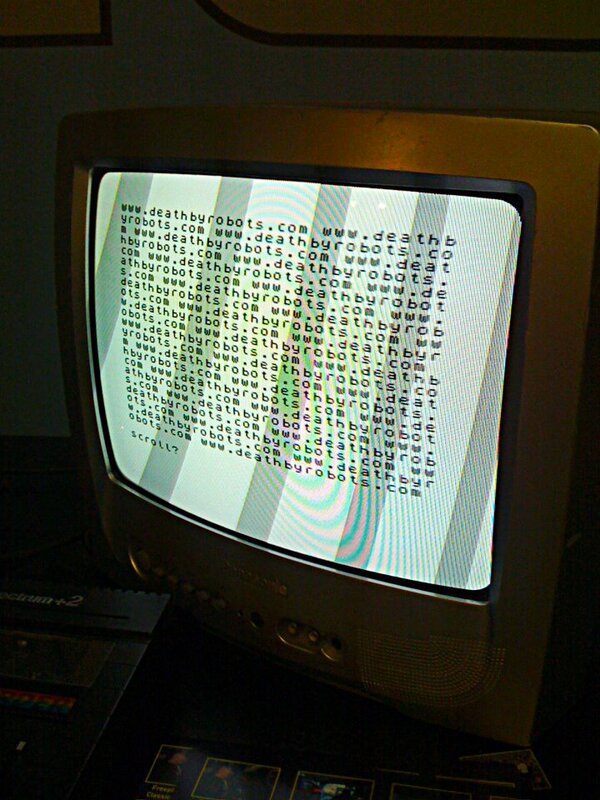 This entry was posted in computing, gaming, old, retro and tagged amiga, bbc, big sky, commodore, eurogamer, expo, micro, really, retro, sega, sensible soccer, sinclair, sonic. Bookmark the permalink. Thanks for the nice report! It was an interesting read. 🙂 Glad you had a good time. 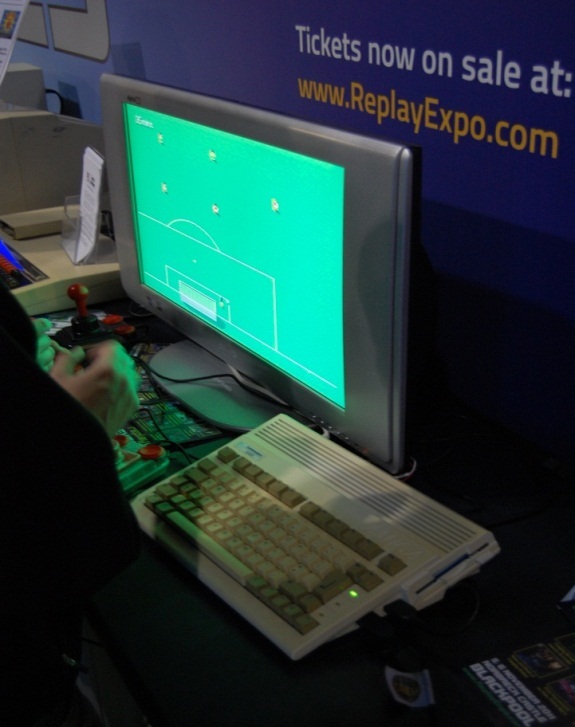 Cool that you spotted an Amiga 600 there.. with Sensible Soccer! That game was very popular back in the 90’s and it is still kicking some serious arse.